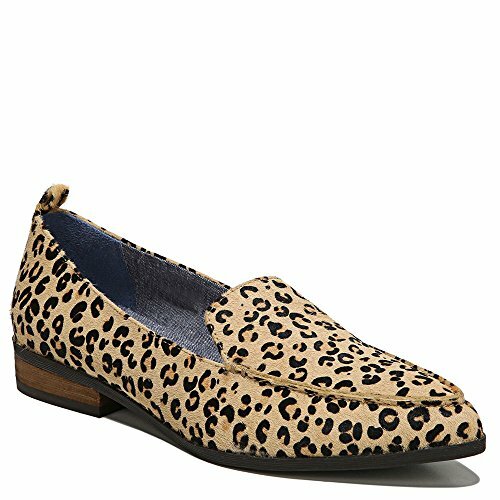 Dr. Scholl's Shoes Women's Elegant Slip-on Loafer, Leopard Pony Hair, 7 W US by Dr. Scholl's Shoes at Mas Fashion. MPN: E9505S2-901. Hurry! Limited time offer. Offer valid only while supplies last. Clean, simple and modern. get the understated style of this loafer in a wide range of finishes and colors. pointed toe. memory foam cool fit insole. Clean, simple and modern. get the understated style of this loafer in a wide range of finishes and colors. pointed toe. memory foam cool fit insole. leather wrapped stacked heel. If you have any questions about this product by Dr. Scholl's Shoes, contact us by completing and submitting the form below. If you are looking for a specif part number, please include it with your message.